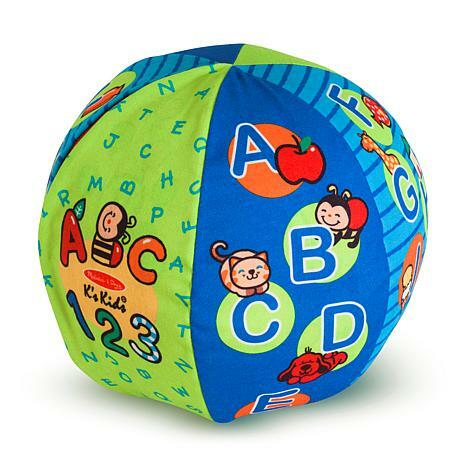 Toss it back and forth to hear this amazing ball say the ABCs or count to 10! Just flip a switch to select the mode you prefer, and then turn the reversible fabric panels to highlight counting quantities, alphabet artwork, and bright colors and patterns. 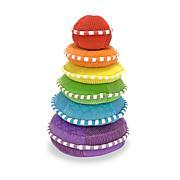 Designed to delight kids of any age, the pleasantly noisy ball is perfect for indoor tossing, catching, kicking and rolling. It's a great way to help babies, toddlers and preschoolers develop gross motor skills as they play. 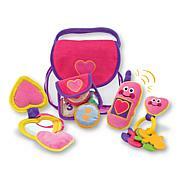 These toys are designed to nurture early childhood development in three key skill areas: physical, cognitive and social. 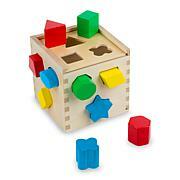 It's a great way to promote constructive play and effortless learning throughout the baby and toddler years! Measurements: Approx. 7.5" x 7.5" x 8.9"
Baby shower ...new baby...or a little older this makes a nice and welcomed gift. Yes I gave one for a great-granddaughter as a special gift. I got this for my 10 year old god-son who has developmental disabilities. He loved it! Its a great size, good for little ones and older kids if needed. He seemed interested in the colors and sounds. 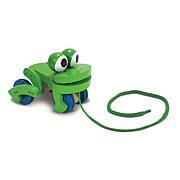 This is a great brand-well designed and fun educational toys. Adorable and my 5 month old grandson loves it!This was a gift and was sent through HSN. The shipping process was excellent! I was updated through emails as to the status of each phase of the shipping and the gift was received in just a couple of days. Thank you HSN! This is adorable, I bought this for a Christmas gift and I'm very pleased with the quality of this item.